NOS (New Old Stock): Only one unit available. The Playstation Adaptor converts the output from the I-PAC (must be in PS/2 keyboard mode) into PS commands. The controls connected to the I-PAC emulate the controls on the Playstation controller as shown in the tables below. Important Note: The PS controller contains some analog controls, and your arcade control panel has switch-type controls. This means that pressing each switch simulates the analog control being pushed hard across. Some games (flight sims for example) cannot be played with switch-type controls. 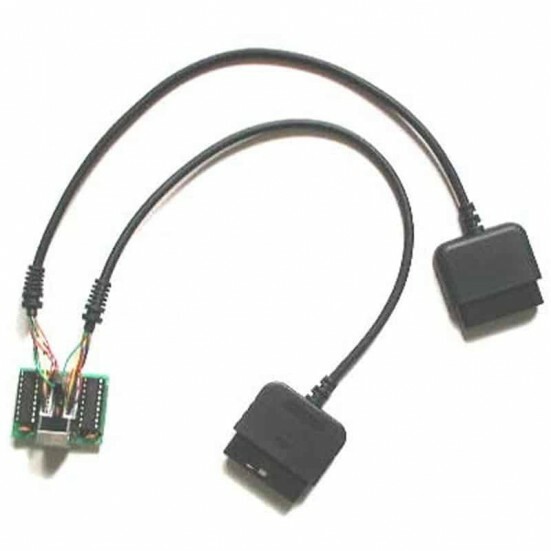 Note: This adaptor works only with pre-2015 I-PAC boards with the PS/2 interface cable. This adaptor can also be used with a keyboard. See Ultimarc for more details.